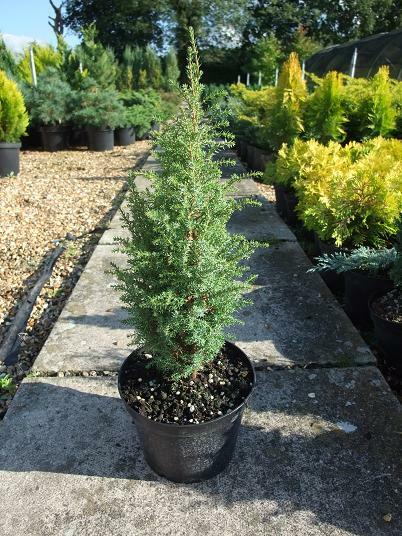 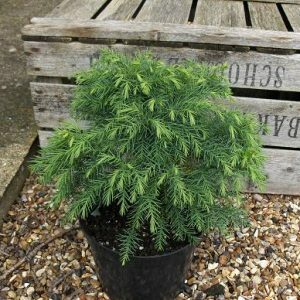 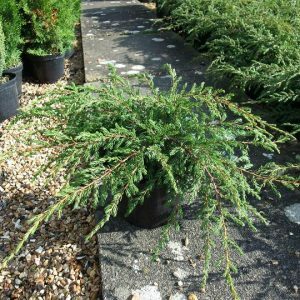 Classic upright dwarf conifer. 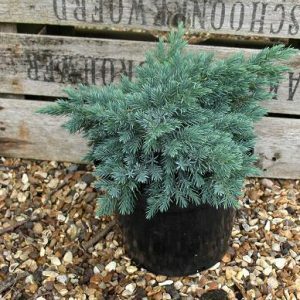 Slowly forms a tight column of dusky light green foliage. 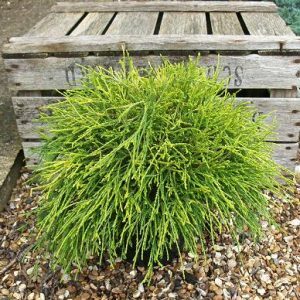 Used for many years in all sorts of garden situation, where something small and architectural is required.